"As I have stated many times, a thorough investigation will confirm what we already know — there was no collusion between my campaign and any foreign entity,” he said. “I look forward to this matter concluding quickly. In the meantime, I will never stop fighting for the people and the issues that matter most to the future of our country." It's not hard to read between these lines. Trump knows he can't stop the investigation at this point. He's simply hoping to convince enough of his followers not to leave him so he doesn't have to face the impeachment firing line. The Justice Department has decided to appoint a special counsel to investigate possible coordination between Trump associates and Russian officials seeking to meddle in last year’s election, according to Deputy Attorney General Rod J. Rosenstein. Robert Mueller, a former prosecutor who served as the FBI director from 2001 to 2013, has agreed to serve in the role, Rosenstein said. The move marks a concession by the Trump administration to Democratic demands for the investigation to be run independently of the Justice Department. Calls for a special counsel have increased since Trump fired FBI Director James B. Comey last week. 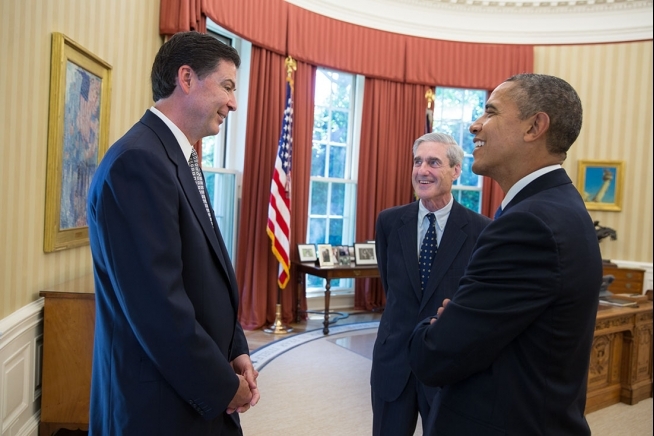 For those of you who don't remember Robert Mueller, he was a Bush appointee to lead the FBI and continued on into President Obama's second term, serving more than 12 years as the Director of the FBI. His direct successor was recently fired by Trump -- James Comey. So this isn't ancient history. Mueller is competent, well-respected in DC, and most importantly, has had direct experience combating Russian hackers. Is it the greatest thing I can imagine? No, but considering where we were a week ago, this is pretty close. The downside to all of this is that the investigation is about to move a lot slower. Mueller is very thorough. We're going to learn about every single Putin pubic hair that was caught in Trump's teeth and how long it takes to shampoo "white russian" out of Trump's combover by the end of it. Good News/Bad News about having Special Counsel. Robert Mueller will get to the truth about TrumpRussia. The bad news is it will take years.